In 2016, the 16-year-old Muhammad Musa had just started playing with the cricket ball in school. But noticing his pace and style, a senior student suggested he appear for trials at the Islamabad Gymkhana. The trials were the first time that Musa was going to bowl in a professional environment. Being a product of tape-ball cricket, Musa hardly knew anything about controlling line and length. He just knew about two kinds of deliveries — bouncers and yorkers. The young pacer went full throttle. He started bowling short-pitched deliveries making the batsmen run for their life. “I hit a couple of batsmen on their heads and the coaches there snatched the ball from my hand or I would have injured someone. They then asked me to join them to learn the art of bowling,” he recalls. The talented pacer did not have the financial resources to buy himself a cricket kit and spikes but his club was generous enough to provide him with all these things for free. He soon played for the U-19 district team. But he was played in just one match in the entire season where he was able to take one wicket. It was somewhat disheartening but he kept the faith. He kept working hard and appeared for the U-19 regional trials where, being the fastest bowler from Islamabad, he impressed and got selected. He did not let his coach down as he emerged as the top performer with the ball in that U-19 regional competition. His performance earned him a call from the National Cricket Academy for the Pakistan U-19 squad. He was included in the National U-19 squad for the Sri Lanka tour but, despite going there, he could not wear the star on his chest as he was not played in even a single game there. “I was crying inside, I was so disappointed but then I consoled myself, that hopefully I will get a chance during our next tour,” he says. Still that tour was not a complete loss as it did give him something he was looking for all these days — his parents’ consent to let him play cricket professionally. The pacer was determined to make his mark and one again he topped the regional U-19 championship bagging 43 wickets and was called for the Asia Cup-bound Pakistan U-19 team. This time he played five matches and was a prominent performer throughout the tour. Later, he also toured Australia and New Zealand with the U-19 team to become an integral part of the squad. Eventually, in 2018, he got a berth in the Pakistan squad for the U-19 World Cup in New Zealand where he ended up taking seven wickets while Pakistan reached the semi-final stage. Upon his return from the U-19 World Cup, Misbah ul Haq recommended him to Sui Northern Gas Pipelines Limited for the first class level. 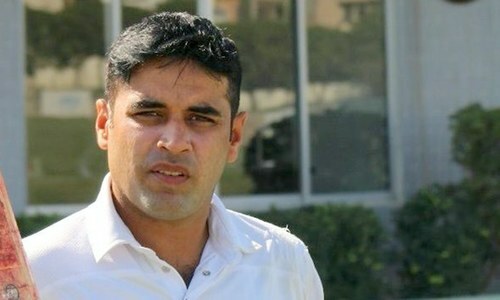 Misbah, the most successful Test captain of Pakistan, was at the time touring Islamabad with Islamabad United where Musa bowled to him and he was stunned by his talent. “It was a memorable moment for me, I was bowling to Misbah. There was my idol, Waqar Younis, also guiding me. I had never imagined anything like that,” he says. Rubbing shoulders with players such as Misbah, Azhar Ali and Asad Shafiq, Musa really enjoyed his first-class season in which he also took 12 wickets in the three matches that he played in Karachi. The seasoned players taught him a lot and he implemented it with perfection. As a result, one of his bowling videos went viral on social media with cricket fans going crazy for the budding pacer. But he did not know about the circulating clip of his bowling against Wapda. “I did not know about the video. I was only informed that it was there on YouTube by one of my friends and I requested him to send me a link. Then seeing it myself I got a little feel of being a star,” he says laughing. Musa was very excited since before the PSL for bowling against the top batsmen of the world. He was nervous as well as he had never bowled in front of big crowds. He is hoping that he will be able to calm his nerves while playing amid the noise and chants. Musa does not have any pre-determined plans to tackle players such as A.B. de Villiers. He believes that if he thinks so much about a batsman, it will put him under immense pressure when bowling against him, which can affect his performance. However, he has a list of players he is targeting. “I have a few names at the top of my mind that I will look to dismiss, such as A.B. de Villiers, Fakhar Zaman Bhai, Babar Azam Bhai,” he says. “There will be probably Misbah Bhai too in the death overs. I will bowl him yorkers,” he goes on to say laughing. Meanwhile, the fourth PSL season of the league has seen his mentor and the captain of his first-class team Misbah ul Haq joining Peshawar Zalmi. Otherwise he would have been playing again under his leadership. “I am working hard, I am looking to be the top performer of the entire tournament and win matches for my team,” says the focused youngster. His debut match against Peshawar Zalmi saw him walking away with three wickets of no less than Kamran Akmal, Dawid Malan and Darren Sammy! 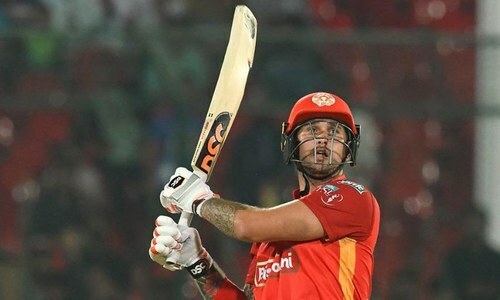 Islamabad United has provided a number of talented players to Pakistan such as Rumman Raees, Shadab Khan, Hussain Talat, Asif Ali and Sahibzada Farhan. Musa is counting himself as the next name in the Pakistan national team from the franchise. “It is a huge motivation for me [that Islamabad United produce players for Pakistan]. I want to wish all the players who will represent Pakistan in the upcoming World Cup in England. However, I am also hoping that the next man from Islamabad United in the team will be me,” he says. 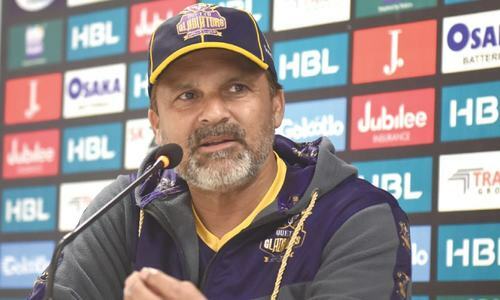 Ahsan Ali, the opening batsman for Quetta Gladiators is probably the best find in terms of batting talent in the PSL 4. The 25-year-old batsman from Karachi has got the complete range of shots, and a cool head on his shoulders along with the much-needed confidence to play at the highest level. He has been opening the batting for the Gladiators alongside Shane Watson which has somewhat led to his being overshadowed by the veteran Aussie. Mohammad Hasnain is young and raw but it is what makes the bowler so special. The 18-year-old has got vicious pace as he can clock over 145kph regularly and has good control over his line and length. He has got a repeatable bowling action which is a treat for fans who like his sheer pace. He is indeed a bright prospect for Pakistan. It will not be an overstatement to say that Haris Rauf is the find of the tournament so far. Lahore Qalandars unearthed this gem during open trials where he cleared different levels and eventually emerged as the fastest bowler of the campaign, bowling around 152kph. Taking wickets seems to come naturally to him. It wouldn’t be a surprise seeing him donning the green jersey in the near future. Karachi Kings have not been at their best in the tournament so far save for one Umer Khan, who has been inspirational in the PSL 4. The left-arm slow bowler is the son of a man who mends tyre punctures. He seems to be a lad beyond his 19 years and has taken the prized wickets of A.B. de Villiers, Shane Watson and Corey Anderson. Moreover, chief selector Inzamam ul Haq also seems to be impressed with him. The 19-year-old medium pacer Mohammad Ilyas, who is playing for Multan Sultans, is tailor-made for T20 cricket. He is accurate, clever and courageous and has bowled brilliantly to some of the biggest names of the cricketing world with immense confidence. What a talent Pakistan has in the world of cricket. The management should groom them and teach them about the pitfalls, so they don't do what Aamir and Asif did. PSL is brimming with talent. Stuart Broad was hit for 36 by Yuvraj. Stu then went on to open England's bowling for the next 10 years. Point is, at 18 years of age, he has plenty to learn and improve but the potential is there. I don't mean to complain but why can't we find ourselves good batsmen? Welcome to the 2014 PSL Cricket and talented cricketers. Keep it up and hang on tough. @Pure ind, haven't heard of these batsmen or bowlers from your country. But keep watching the PSL. Great story, good luck young man. He has looked mature and he is in a nice franchise setup. Sameen Gul of Zalmi, Haris Rauf of Lahore are a very good find but best has to be Hasnain of Quetta. He already got a call for Australia series and hopefully, he gets to play at least one game for the national side as well. Bowls consistently over 145 kph and looks like a mature lad for his years. @Andar ki baat, It was Fakhar Zaman, Pakistan's opening batsman, who hit him for 26. Shaheen Shah Afridi gave away 64 in the same game. Bowls fast with lateral movement off the pitch and in the air he and Shaheen are two potential opening pairs for Pakistan. @Andar ki baat, Asif Ali hammered three consecutive sixes off Hasan Ali in the PSL final last year, so what's your point? Good to see somebody from the lower section of the society come up, he should bowl with accuracy and speed and disguise his in swings and out swings well, I am sure that Pakistan's talented fast bowlers will give him good tips.